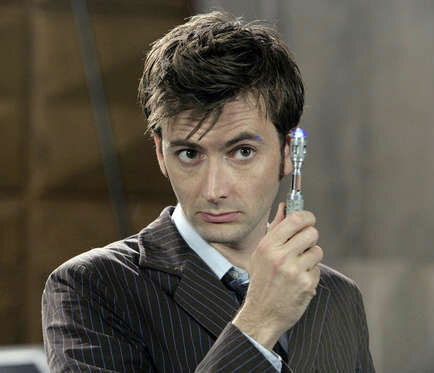 (Nanowerk News) Television's favourite Time Lord could not exist without his trusty sonic screwdriver, as it's proved priceless in defeating Daleks and keeping the Tardis in check. Now Doctor Who's famous cure-all gadget could become a reality for DIY-ers across the world, say engineers. The technology is already being trialled in modern manufacturing to fix parts together and ultrasonic force fields are being developed within the medical field to separate diseased cells from healthy cells. Professor Drinkwater and The Big Bang team are now exploring whether super powerful versions of these sound beams could bring Doctor Who's iconic device to life. "Doctor Who's adventures have captured the imaginations of millions, young and old. And, however far fetched the Time Lord's encounters may seem, there are engineers and scientists out there who are using their skills to bring the magic to life. Professor Drinkwater has teamed up with The Big Bang, one of the UK's biggest celebrations of science and engineering, to inspire young people from all walks of life. Taking place at ICC London ExCeL from 10 - 12 March 2011, The Big Bang offers young people the chance to take part in a host of free interactive shows and workshops including Sky One's Brainiac Live! and BBC One's Bang Goes the Theory. It is also the ideal place to find out about the exciting career options available in science and engineering. The Big Bang hosts the finals of the prestigious National Science & Engineering Competition and also kicks off National Science & Engineering Week 2011.